If you scan the headlines, you probably think that brick-and-mortar shopping is doomed to be replaced by online shopping. You might also draw the conclusion that the biggest dinosaur of the brick-and-mortar era — the shopping mall — is soon to be extinct. Now, it’s true that the competition sparked by online shopping has been a major factor in the closing of many stores. Once the preferred way to shop, malls and department stores have taken one of the biggest hits in sales. Because of growing omnichannel commerce and online retailers like Amazon, consumer behavior has changed. To shop for a wide variety of items in one place, consumers are probably more likely to go online to Amazon than go to a mall. Still, that doesn’t mean that consumers have completely written off in-person shopping. 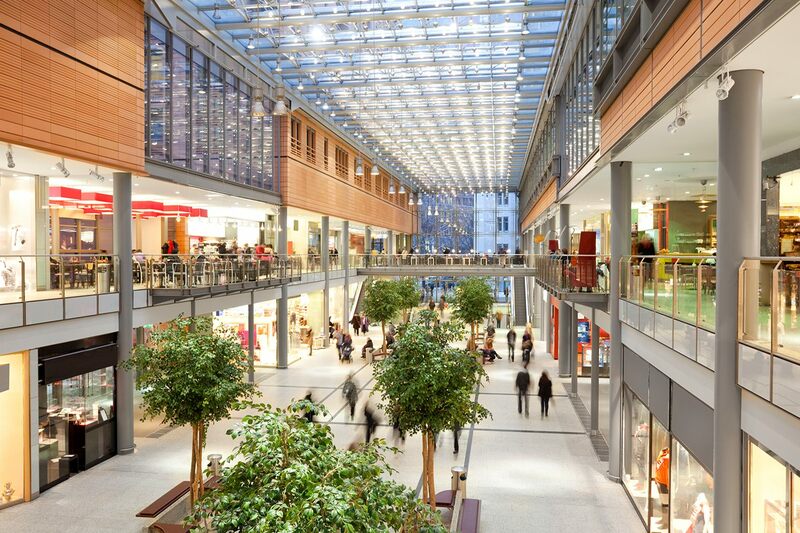 Are malls really in trouble? According to a study by BigCommerce, 51 percent of Americans say they prefer shopping online. However, the reality is, just 10 percent of the approximately $3.3 trillion in annual retail sales last year came from online transactions, according to Forrester Research. Now, while in-store shopping isn’t completely dead, it is true that fewer people are going to big department stores to do the bulk of their shopping. Many of the large “anchor” stores, like Sears, Macy’s, and JCPenney, have either had to shut down or consolidate operations in a smaller space. This can sometimes cause a chain reaction in malls. When the bigger department “anchor” stores leave, this can lead to smaller retailers following suit and leaving, or it opens up the opportunity for them to negotiate a lower leasing agreement. But that doesn’t mean all malls are in trouble. Class A malls, which have $500 or more in sales per square foot, and class B malls, which have $300 or more in sales per square foot, are staying afloat in this challenging and ever-changing retail environment. And other malls are staying afloat by getting creative with how they fill retail space. Setting up shop in a mall might sound like a risky prospect to small-business owners who have seen plenty of stores closing in their local malls — not to mention entire malls shutting down. But malls have begun to re-image their retail spaces. They’ve started leasing space to new tenants, like fitness centers, spas, pop-up stores, or restaurants. These may seem out of place, but the shift away from just retail creates opportunities for smaller retailers or new restaurants — perhaps without any previous brick-and-mortar locations — to find a new home. Considering that omnichannel customers spend more both in-store and online than single-channel shoppers, and tend to research products online before purchasing them in store, malls could be a perfect solution for creating a well-rounded retail experience. Studies have also found that customers tend to research products online before purchasing them in stores. Knowing this, malls could be a good option to enable that in-person experience for eCommerce business owners looking to enact an omnichannel strategy to target these customers. If you’re considering opening a brick-and-mortar store, whether it’s in a mall or elsewhere, it’s vital that you do your research. Ask yourself questions like: What kind of foot traffic is there? Who are your neighbors? Will that in-person exposure boost sales enough (both online and in person) to justify the costs? Spend some time observing the mall, and talk to other shop owners and employees to get a sense of their experience in the space. Before signing a lease, you want to feel confident that the shopping center attracts your business’s target demographic. If you’re not ready to go all in with a long-term lease, look into temporary or pop-up opportunities. These short-term engagements can be a win-win: Malls can create buzz and attract customers with a new, limited-time-only shop, and small-business owners can get experience operating a brick-and-mortar store in a lower-risk environment. If you’re not quite ready to commit to opening a location in a mall, another option is to open up a store within a store. For example, if you have a relationship with a like-minded business and have a similar customer base, discuss options like having a short-term pop-up within their retail space, where you can co-market with the goal of attracting new customers to both of your shops for a mutually beneficial result.